- "How do I permanently delete text messages?" - "When I delete a text message is it permanently deleted or can it be retrieved? Would the phone carrier have copies of all texts?" Well! If you have the same questions on your mind, we are here to assist you. As we all know, before trying to sell or submit your iPhone for repair at a service centre it is advisable to permanently erase messages from iPhone. 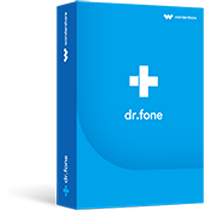 It ensures that your personal data/messages stay protected from being leaked or misused. 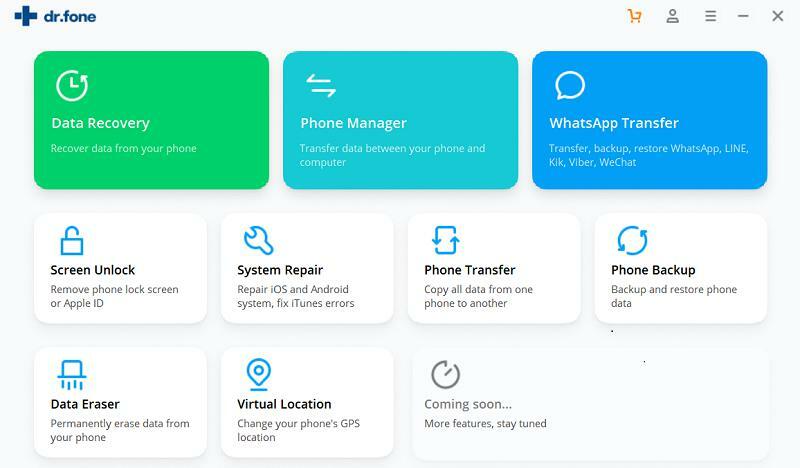 Now, if you’re wondering that how to permanently delete messages from iPhone then we have some easy to follow solution for you. Through this article, we would discover 5 ways of permanently deleting messages from iPhone and what is significant about them. Keep reading to know more. Apart from the data security, you also need to free up space on your iPhone memory to accommodate new messages and let the iPhone perform better. 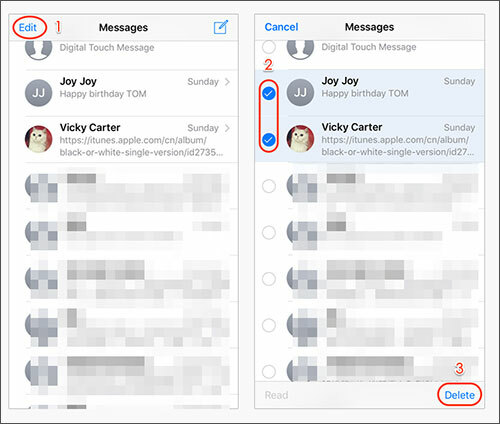 So, here is how to wipe iPhone messages. In this process, we will explain erasing all messages from your iPhone. Step 1: Go to the ‘Messages’ app and click ‘Edit’ from the top-left corner. Step 2: Touch the circle against the conversations. You need to manually select all the text messages you want to delete. Now, click ‘Delete’ on the bottom right corner. Alternative:	You can also set time to erase messages from iPhone beyond a certain time limit. Step 1: Launch the ‘Settings’ app on your iPhone and browse to ‘Messages’. Go to ‘Message History’ and select an option under ‘Keep Messages’ section. Step 2: It will show ’30 Days’/1 Year/Forever’. 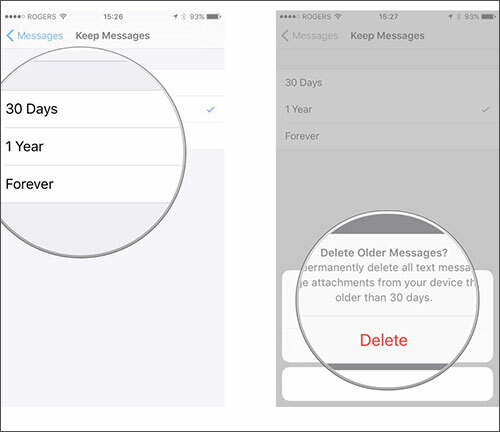 Now, tap ‘Delete’ to erase messages older than ’30 Days’ if you have selected the first option. Though, you can free up some space on your iPhone by deleting the texts this way, the messages still exist in the iPhone data base. You can use the ‘Spotlight’ and trace them easily. This method obviously doesn’t wipe messages from iPhone forever. They can still be recoverable. 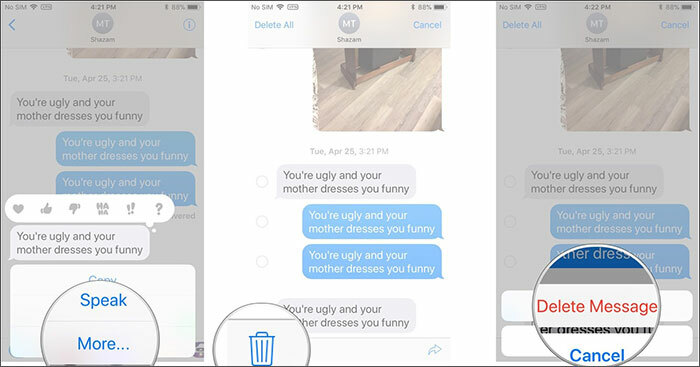 Now that you have gone through the process of erasing all messages from iPhone, how about knowing how to individually deleting a single message? You can delete a single message from a conversation thread. Step 1: Go to ‘Messages’ and tap on a conversation. Now, hold down the particular message you want to delete and click ‘More’ on the popup that follows. Step 2: Click on the dots against other messages, if you want to delete and hit the trash-can icon. Now, confirm your actions by hitting ‘Delete Message’. As we have already mentioned text messages are not actually removed from the iPhone in this way. They are still recoverable from the iPhone data base and are searchable using the ‘Spotlight’. 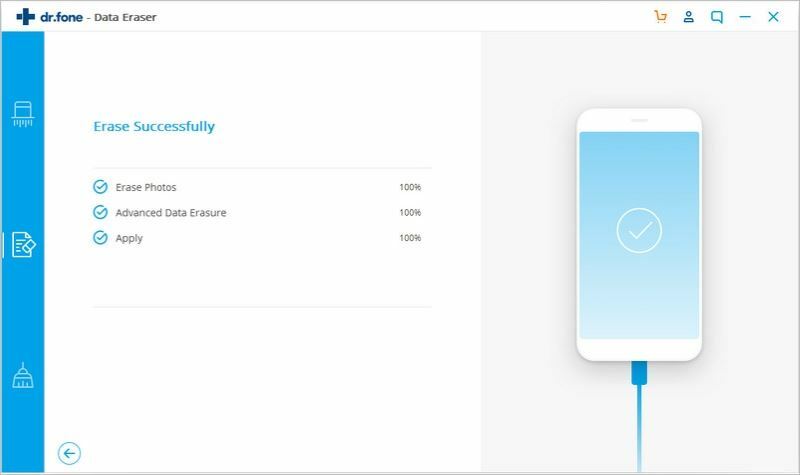 If you don’t want to leave your personal data exposed to phishing and threats after going through the above mentioned processes, then it is best to opt for a reliable solution like iSkysoft Toolbox – iOS Private Data Eraser. 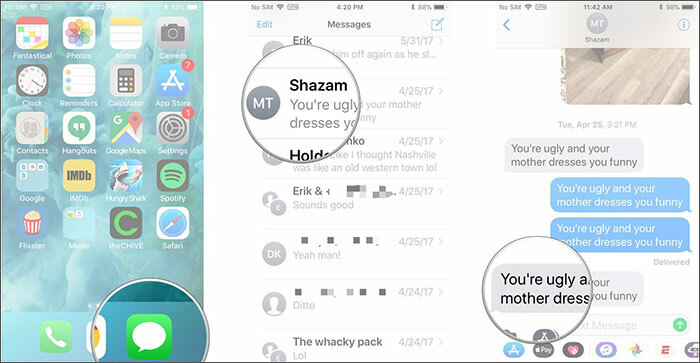 It can permanently delete messages from iPhone along with contacts, reminders, calendar, call logs, notes, Safari bookmark, and photos. You don’t lose the entire device data, rather the selected data only gets permanently erased from your iPhone. 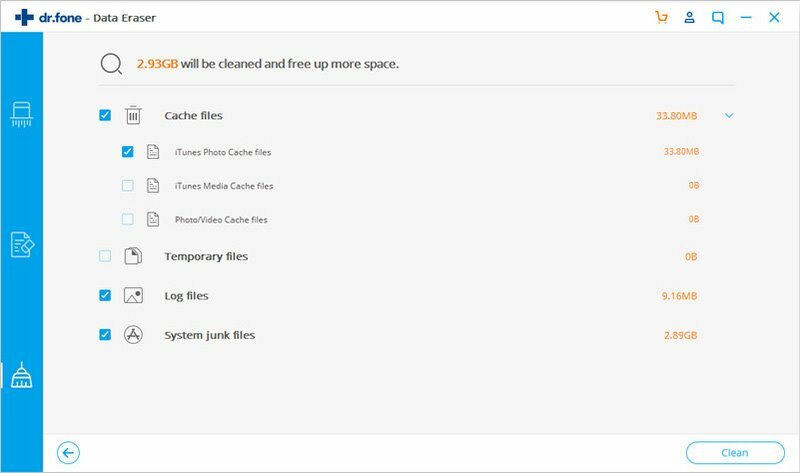 This tool helps in completely deleting selective data to release memory, remove junk files, as well as prevent phishing, identity theft, data leakage, and phone call crimes. 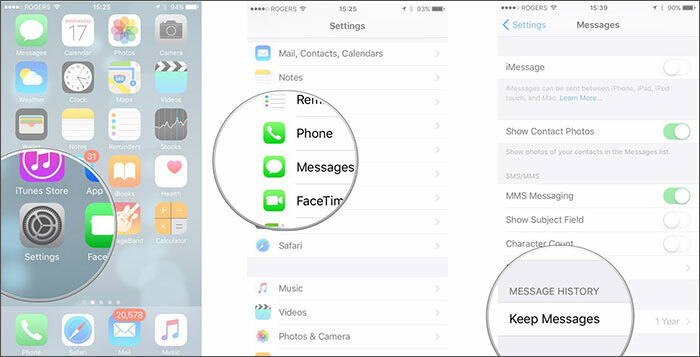 It permanently wipes iPhone messages (by deleting the selected data) from your iPhone, making it irrecoverable. Major iOS devices are supported with this software, including iPhone X/8 (Plus)/7 (Plus)/SE/6s (Plus)/6(Plus)/5S/5C/5/4S/4, iPad, iPod Touch running from iOS 4 to iOS 11. The best part of this software is it supports both Windows and Mac computers. As a result, you are not stuck with lack of options to use this application and get your data erasing job done. Install and launch the program on your computer. Get your iPhone connected to the PC through a lightning cable. From the iSkysoft interface click on the ‘Private Data Eraser’ tab and wait until the software detects your iPhone. Your device information will be shown after it has been detected by iSkysoft toolbox. Now, tap the ‘Start Scan’ button and wait a while to let the software scan the iPhone data. This program doesn’t save your data, as it is read-only. The scanned data will be categorically displayed on screen. Now, tap on ‘Messages’ and ‘Message Attachments’ checkboxes to select them from the left side panel, and then hit ‘Erase from the Device’. You will be prompted with a popup window having a text box, you need to write ‘Delete’ and then hit the ‘Delete’ button to confirm. This will start deleting the messages from your iPhone and you will see ‘Congratulations, you have erased the private data from your device permanently.’ appear on screen. This process completely wiped out your chosen messages, which you can NEVER recover. Now, the iPhone is ready for resale or to get repaired at the store, without any personal data being leaked. 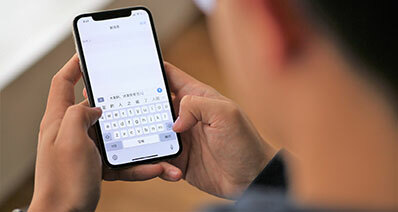 Deleting messages from iPhone using the usual text deletion method is not enough, unless you remove them from your iCloud backup as well. 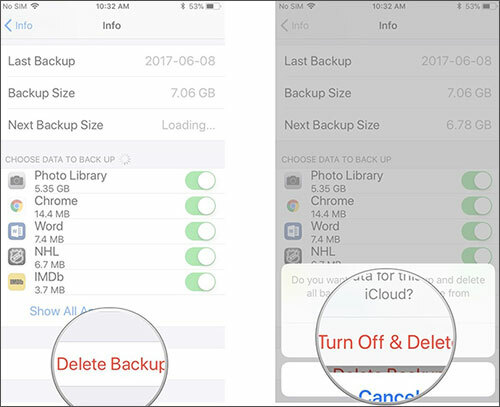 The iCloud backup file will still contain the erased messages from your iPhone and you should delete them ASAP. 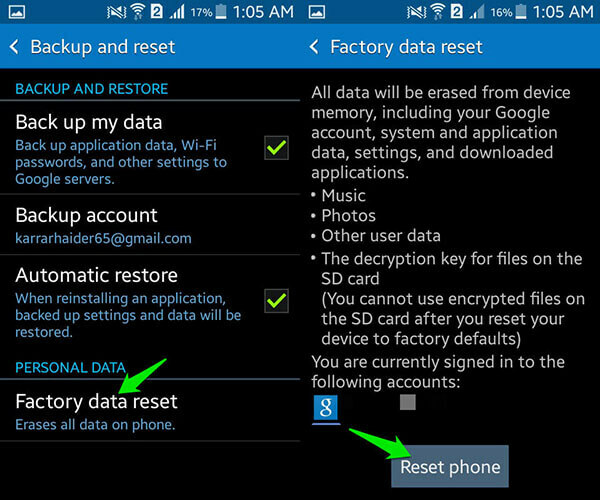 Note: The major drawback of this process is, there is no option to selectively erase only text messages from the backup. 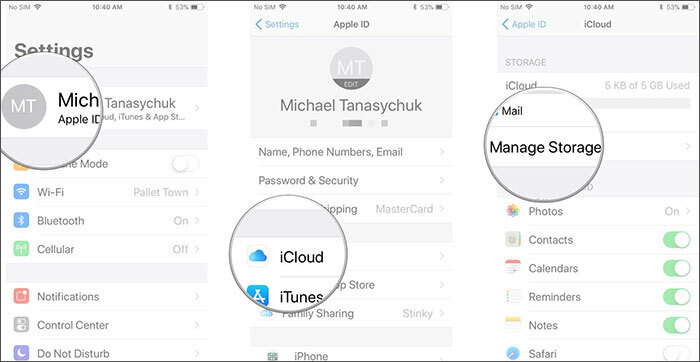 You need to delete the entire iPhone backup file from iCloud and lose other data on the go. Which is obviously not preferred if you don’t want to lose anything other than the text messages. Step 1: Launch the ‘Settings’ app and click the Apple account i.e. ‘[your name]’ from the top. Now, hit ‘Manage Storage’ right under the ‘Storage’ section soon after. 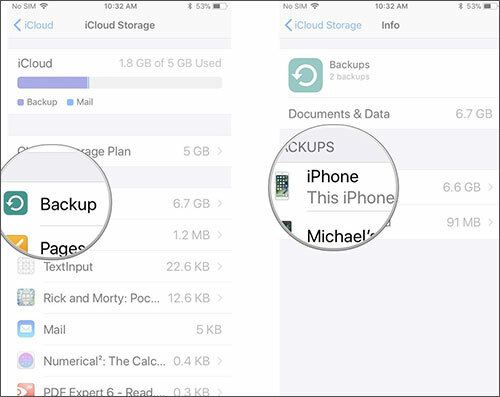 Step 2: From ‘Backups’ select the desired iPhone backup over your iCloud account. Step 3: Lastly, tap on ‘Delete Backup’ and then ‘Turn Off & Delete’ to delete the backup from iCloud. In case your iPhone has been backed up using iTunes then the deleted messages from iPhone will be found here and you can recover them. As you need to ensure that the messages are not to be recovered, it’s wise to delete from iTunes as well. The major disadvantage of this method is just like iCloud, it deletes the entire backup file while erasing messages from your iPhone. You can’t specifically delete messages only from your iTunes backup. Step 1: Launch iTunes on your computer that you have already synced your iPhone with. 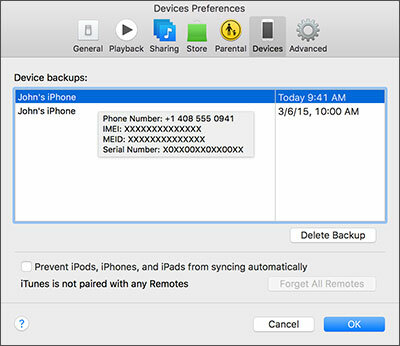 As we know, without syncing iTunes can’t manage your iPhone backup. Tap on ‘iTunes’ from the menu bar at the top of your screen and then click on the ‘Preferences’ tab from the drop down menu. Step 2: After that you need to tap on the ‘Devices’ tab and then pick the desired iTunes backup file of your iPhone. Click the ‘Delete Backup’ button found on the bottom-right corner. You will see a pop-up window that asks you for confirmation. Click ‘Delete’ there and then ‘OK’. Your iTunes backup containing the text messages will be gone forever. The risks of messages being leaked or delete messages from iPhone being recovered involves phishing, getting junk files back on your iPhone and crowd the memory, slower the performance of your device, information leakage, contacts leakage leading to phone call crimes, identity thefts as texts contain numbers and names, etc. 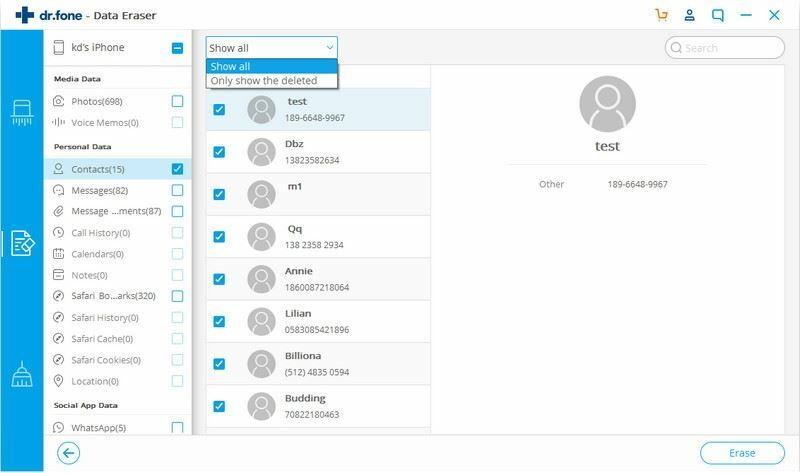 As you know, traditional ways of deleting text messages from your iPhone are not leak or fool-proof and might pose a threat to your information, iSkysoft Toolbox – iOS Private Data Eraser comes as the most viable option. It enables you to selectively wipe iPhone messages, without disturbing the other data in the device. Though, iCloud and iTunes can help you in deleting the desired data, they don’t allow you to explicitly erase text messages only. You lose other vital data on the go. Why not get iSkysoft Toolbox for yourself and have a try!